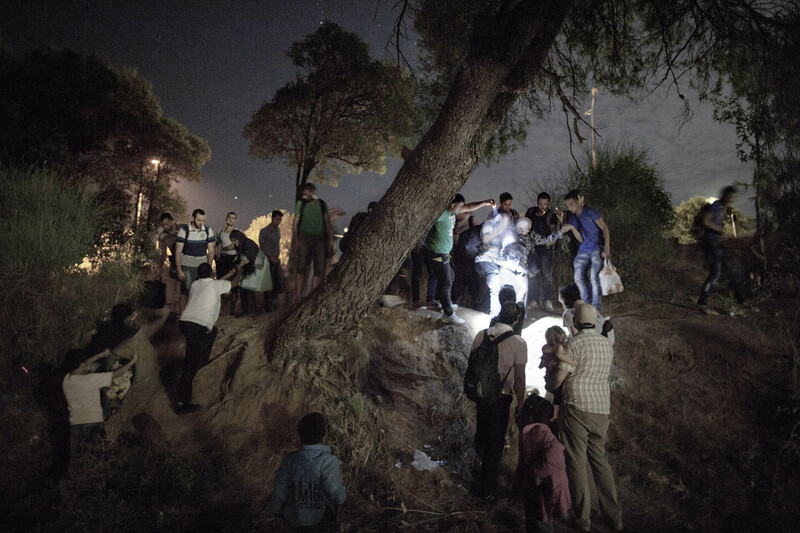 A group of about 50 refugees gather near the Greece Macedonia border near the Greek village of Evzonoi. They have travelled for 12 hours on a bus from Athens and when night falls, they head across the Macedonian border and on to the village of Gevgelija. Some wait until day break to cross the border since they are afraid of gangs who are lurking in these areas, waiting to rob refugees.